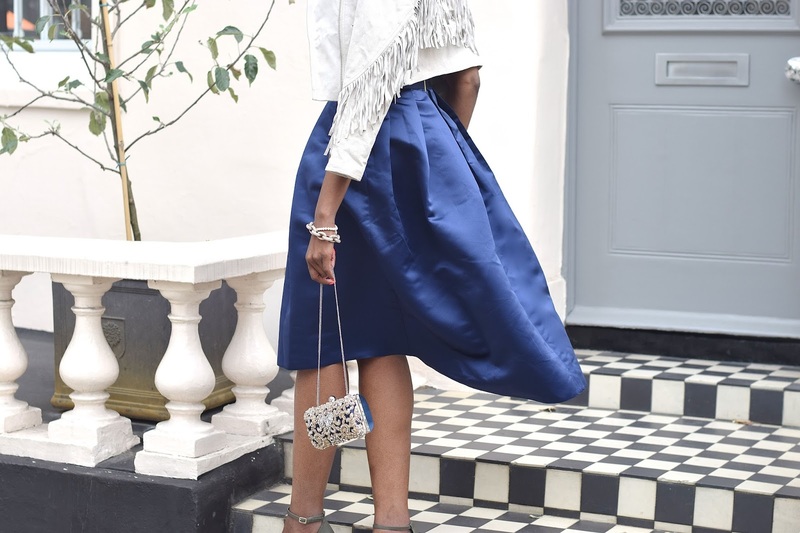 As you know I love my midi skirts and this beauty currently comes in a variety of colour ways to choose from. The hi low hem takes it from being a standard midi to a fun and flirty piece that can be styled in so many ways. 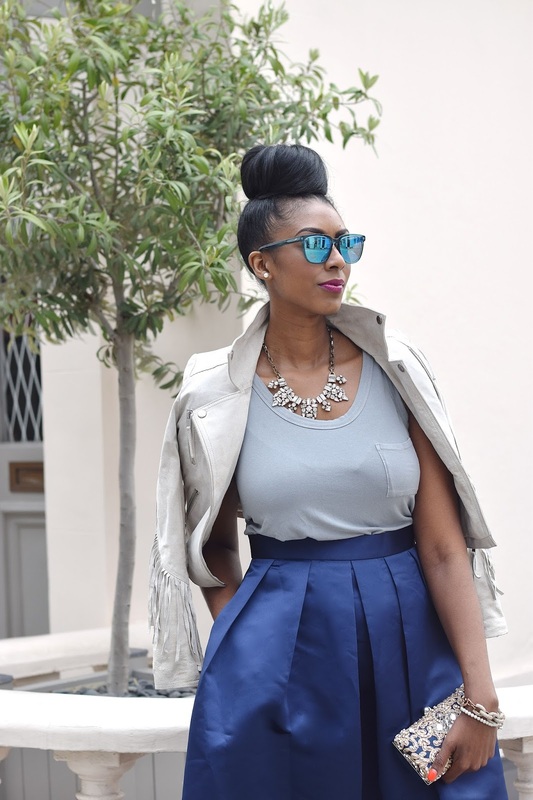 I opted to style it with a relaxed vest top that is more for casual gym styling. However the party season doesn't always mean that you have to purchase something new. 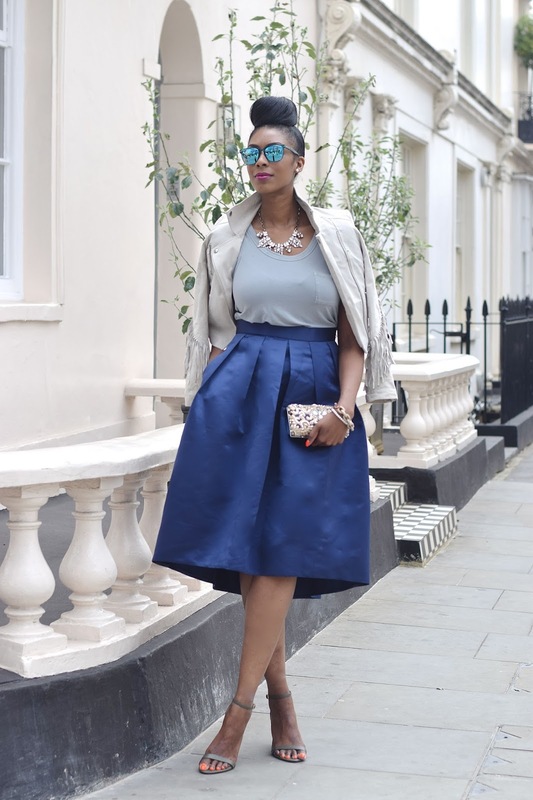 The fun of styling is all about recreating looks from the pieces you already have in your wardrobe. Adding a biker jacket with fringe detailing and an embellished clutch provides an ensemble that will take you from a dinner date to the dance floor! Gorgeous skirt, I am in love with midis right now!